Thinking you need to have a dentist pull out a loose tooth? If you have a tooth that is slightly loose, it is more than likely to heal on its own in a few days if you give it special attention. If you happen to be someone who grinds or clenches their teeth often, know that this is one of the more common reasons adults will complain about having loose teeth. 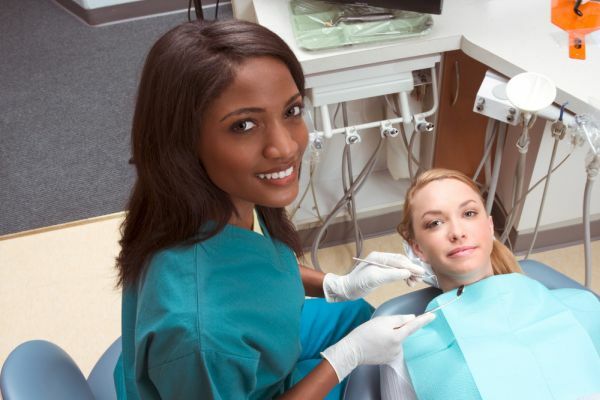 If you are a clincher or a grinder, you will need to make an appointment with a dentist for their professional advice. If your tooth is loose due to gum disease, it will depend on the extent of the disease for whether your tooth will need to be pulled. Yes, a tooth that is loose can definitely be saved! Just because someone has a tooth that is loose does not mean that they are going to lose the tooth. Any time someone experiences a tooth that is loose, even if it is minor, it is a good idea to make a dental appointment. A dentist knows exactly what to look for when a tooth is in jeopardy and can make the proper recommendations for the patient. The following is a list of three reasons for when it is appropriate to pull out a tooth that is loose. Reason #2 — the tooth is loose because it has experienced too much trauma due to some type of accident, e.g., car accident, playing sports, falling down, etc. Have any questions for us regarding when to pull out a loose tooth? If you do, we have a knowledgeable dental team that is ready and willing to take your dental questions. We make it a goal to provide our patients with all the dental information they need, so they can take better care of their oral health. Remember that your teeth are meant to last your entire lifetime, making it necessary for you to do everything possible to keep your permanent teeth in good health. We are here if you need us! Looking for info on how to pull out a loose tooth near the 98004 area? Call Bellevue Implant & Cosmetic Dentistry at (425) 249-9186.